Knowing what you know, it’s important to remember that there is, and always will be, more than one way to get this done. Many founders start the journey the way you’d expect, by generating a long list of names without any strategy or understanding of the naming process (Like me!). But before you start throwing everything at the wall to see what sticks, we’re going to offer you a suggestion that will help you work smarter. Assuming you’re not going at it alone, it’ll be helpful to think about how you and your team can best contribute to the process without also convoluting it. Start by going beyond the traditional, and often ineffective brainstorm, where everyone sits in a room and generates names on the spot. These kinds of environments are high pressure and are rarely conducive to creativity. Instead, try an approach that allows you to divide and conquer. Ask everyone involved in the naming process to generate their own list of about 50 names without setting too many boundaries. With this kind of approach, everyone has their own space to come up with ideas, free of external pressures, as well as the collaborative benefits of inspiration and alignment. Have each person create their own Google Sheet with two columns: “Name” and “Notes”—it’s a good idea to write down what influenced the name. You could also use Evernote, OneNote, Box, etc. Just make sure it’s collaborative. Despite what will initially be mostly fun (generating the ideas), it’s probable that you’ll get frustrated at one point or another along the way. It’s even likely that you’ll get stuck. Don’t worry, we’ve put together a list of resources in the next chapter to help you get unstuck. Why is it Called Uber? 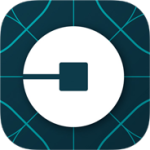 Uber was originally called UberCab, however, in May 2011, the company received a cease-and-desist letter from the San Francisco Municipal Transportation Agency claiming they were operating an unlicensed taxi service. Criminal violations were filed and the Agency demanded that the company cease operations. UberCab immediately removed the word “cab” and started to operate under the brand name Uber. Use a name generator like Panabee, Bust A Name or LeanDomainSearch to inspire new ideas. Check out our curated list of name generators here.